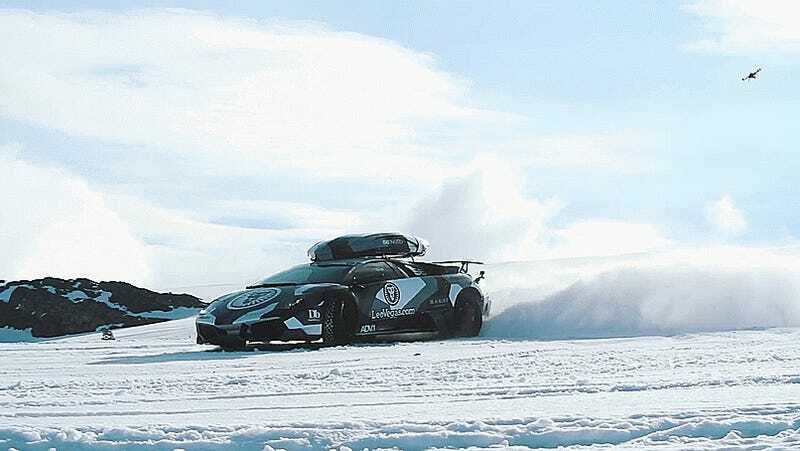 Swedish professional skier Jon Olsson often brings insane cars into his natural environment and, well, does insane stuff with them. He recently tore up a few ski slopes on the way to the top of a glacier in his Lamborghini Murcielago, ski raced down it, and made us all remember just how boring our own lives are. The Murcielago is just one of Olsson’s fleet, and photos from this particular shoot are over on his blog. While it’s hard to predict what kind of stunts Olsson will do next, we can almost all be certain that it’s more fun than whatever we’re doing.